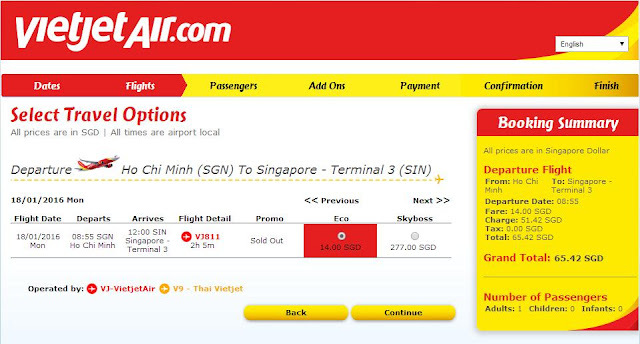 Charles Ryan's Flying Adventure: Flying Home With VietjetAir ! Flying Home With VietjetAir ! 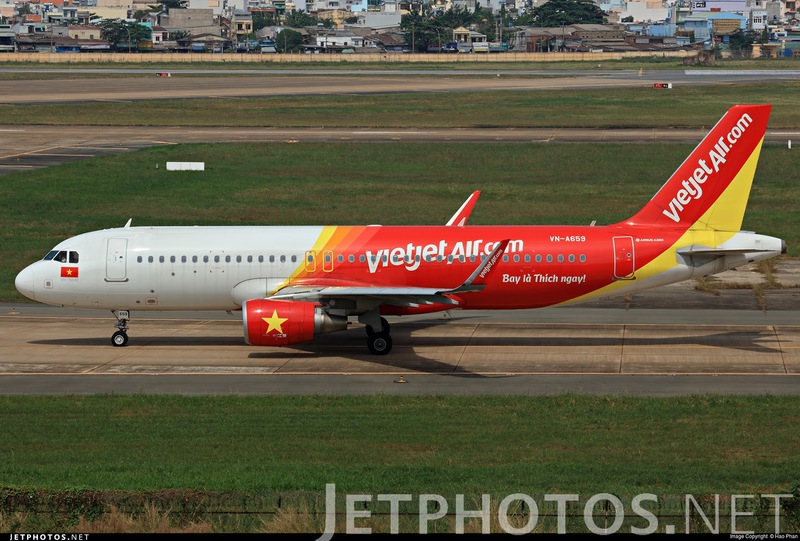 Welcome to my 2nd Trip Report on VietjetAir! I had a few options for SGN-SIN sector, the last leg for part 1. They are Jetstar, Jetstar Pacific, Tigerair, Singapore Airlines, Lion Airlines and Vietjetair. I have previously flown with Vietjetair and it was from Singapore to Ho Chi Minh, so why not do the other way round - that was what I thought. 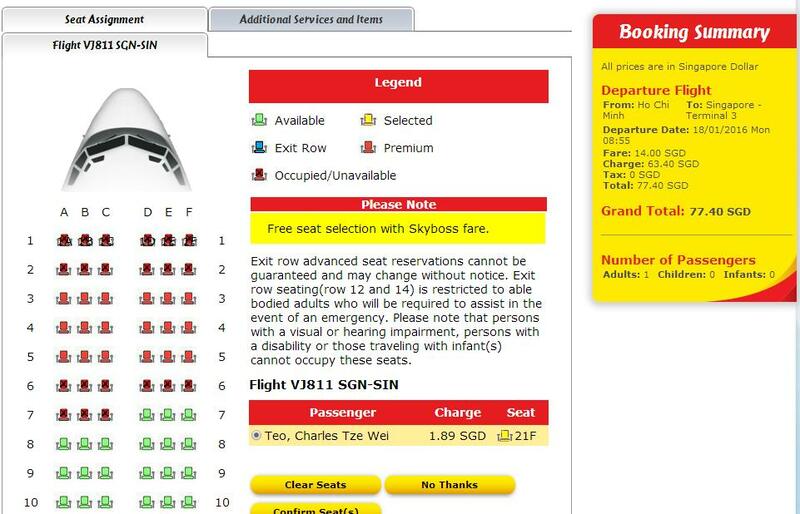 So checking the airline's website, I found a reasonable airfare of around S$80 including meal and seat assignment, and I booked it not long after. I had no issue with the airline's website. 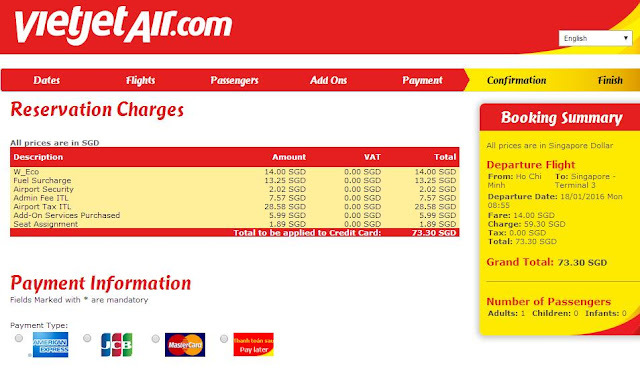 For a short flight, I won't pay $277.60 excluding tax for Skyboss. Skyboss offers free lounge, better seats and check-in priority. 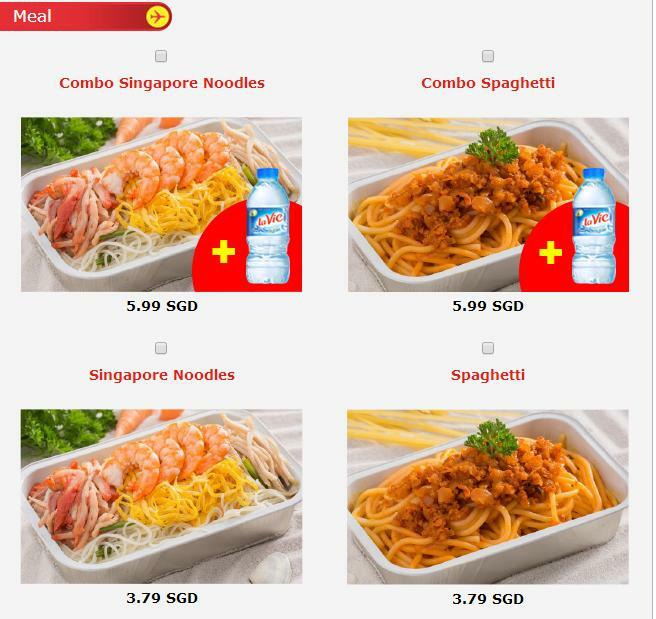 The meal option looks good and is certainly cheaper than Singapore based Low Cost Carriers. A detailed breakdown of the air fare and fuel subcharge is still included even though the price of fuel is quite low. No complaints from me though since the airfare is still cheap. 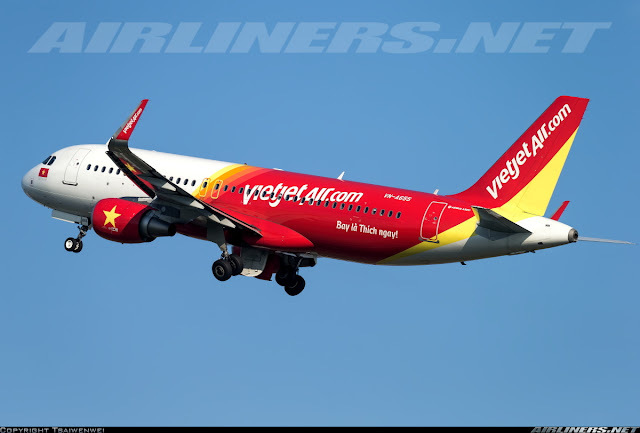 Vietjet Air also known as Viet Jet is a private owned Low Cost Carrier based in Vietnam, was granted to operate in 2007. However, the airline was launched in December 2011 and became the 2nd private airline to offer domestic service. It took a long time to launch due to difficulty with the regulatory issues but finally was given a green light at the end of 2011. Air Asia wanted to buy a 30% stake in this airline but due to difficult conditions, the airline withdrew its plan. 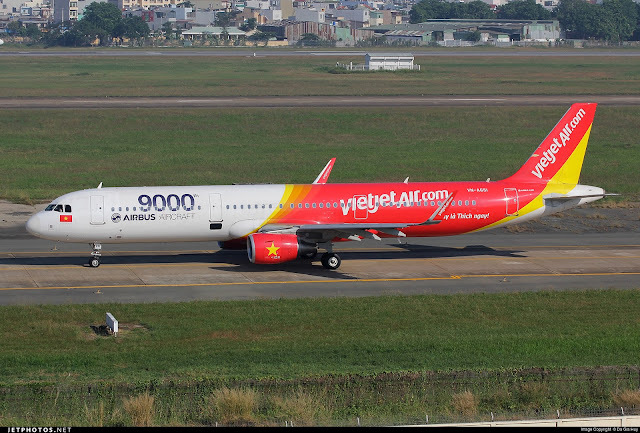 Currently, the airline operates of Airbus A320 and A321 fleet with order an order of Airbus A320 and A321 (NEO Version), this airline is certainly going places. It seems that the airline is also leasing 10 A319s from Air Berlin group to cater the demand of both domestic and international markets that the airline is serving. The order for the NEO aircraft is for fleet replacement and expansion. 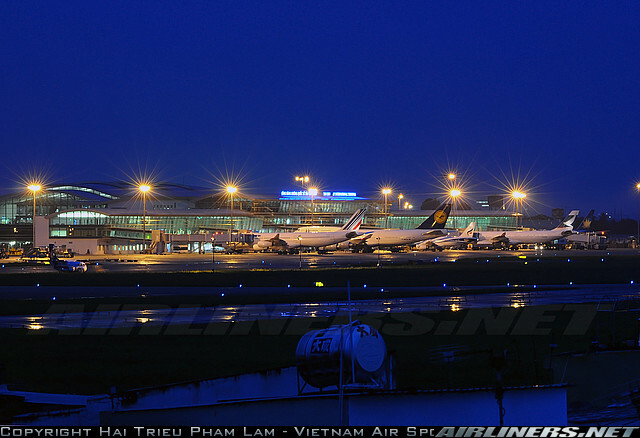 This airport was originally set up in the 1930s when Tan Son Nhat airfield was built. In Mid-1956, a 2,190 m runway was built with the help of the U.S. During the Vietnam War, the likes of Pan Am (Pan America) and Continental Airlines based in U.S was already flying to this airport for military charters using Boeing 747 and Boeing 707 respectively. Once war was over, it took a while before the U.S Airlines restarted flights to Vietnam, with United re-starting flights in December 2004. 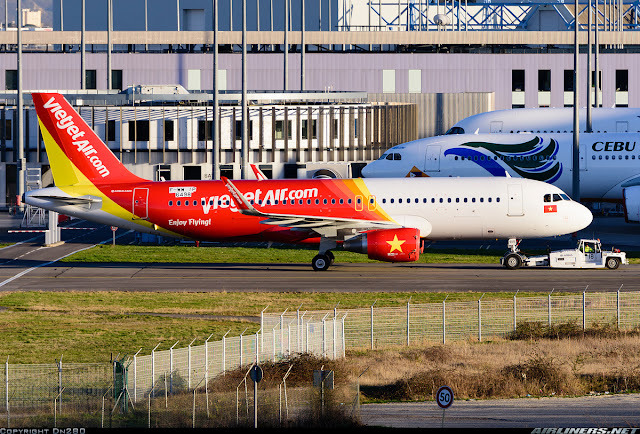 This airport has become the largest airport in Vietnam and with recent expansion and upgrade of its current infrastructure, the airport aims to be competitive against its neighbouring rivals. The old terminal is now used for domestic flights while the new international terminal is aimed to attract more foreign airlines to serve flights to this city. My mode of transport - quite fun! I was certainly enjoying the food! As I had paid my for my window seat, I didn't have to rush to the airport to do my check in. The flight was at an early hour of 8.55 am, not an ideal timing but since I had to go back to work in the afternoon, I had no other choices. Jetstar Pacific had a flight that morning and it departed an hour earlier. Took the taxi from my hotel to the airport, the ride took less than 15 minutes. Once there, the check-in counters were not opened yet and I was 2nd in the queue. Fortunately, I didn't wait long for my turn and got my boarding pass without issue. It was quite busy as the folks were seeing their loved ones off. All flights at this time were departing to other parts of Asia. Good news for travellers is that Free Airport Wifi is now available. Connection is pretty strong. Unlike my previous flight with this airline, I got a proper boarding pass this time. There are a few restaurants at the 3rd level. Coffee and Cocktails don't mix! My aircraft was parked at a remote parking lot, so a bus would transport us there. Soon, it was time to board. Boarding the aircraft the fun way! Great thing is the airport staff didn't stop us taking photos. A few seconds later, I was on board. Greeted by the crew, I was directed to my seat. Better set of crew than the ones on my Jetstar Pacific flight, I was greeted with smiles from the crew as I made my way to my seat near the rear of the aircraft. One female crew spoke to me in Vietnamese asking me not to take cabin photo, I think. However, I wasn't stopped by the other crew. Strange! Skyboss seat - is it worth paying more for it? You decide. This type of leather seat is quite common among Low Cost Carriers, its comfortable. Only issue is the legroom space. A Vietnamese couple came and asked me whether I could switch seats with them so that the husband could take photo. Initially, I was hesitant because I wanted to take video of the take off and landing and snapping some photos, wasn't an easy decision and it took me a few seconds to agree with the change. The Airbus A320 features 2 emergency rows, which offers better legroom space than the others. Back in Singapore, usually I hang around longer but this time I didn't as I had to make my way home quickly as I had work later that day. Check out the cheap meals! Push back only took place about an hour after settling down at our seats. Reason is the aircraft's computer system had issues and needed to be rebooted a few times before it worked. The captain was informative and gave us a good update on the delay, so we knew what was going on. No one made any noise and the crew walked to and fro to check that everyone was comfortable. I was telling my seat mate that its better for them to check and solve the issue than to rush off and made an emergency landing. Fortunately after 45 minutes, the issue was solved and we were soon on our way. It feels weird not to have the window seat as I just had to rely on my seat mate's window to watch the world passing by. Take off was powerful and smooth as we headed to our assigned flight level and heading. Not much turbulence on this flight as the 1 hour 45 minutes passed by fast. Pre-order meal service took place first followed by BOB and then Duty free sales. Cabin crew were enthusiastic and it was certainly a better experience with this airline compared to my previous, you can check out the trip report over here. Had a good chat with my seat mate and before I knew it, we started our descend. Crew came around to do the mandatory checks and we landed at Changi Airport 11 minutes after schedule arrival, not too bad. The flight crew kept us well informed and that's how I like my flights to be. It's not bad to be honest. Actually, I forgot I pre-ordered this meal. I wanted to order the Vietnamese cake, perhaps on my next flight. It was nice to fly the Airbus A320 fitted with 'Sharklets'. Landed at Changi Airport and we parked beside Siam Air's Boeing 737-300. With that, I bid farewell to my seat mates and head home. 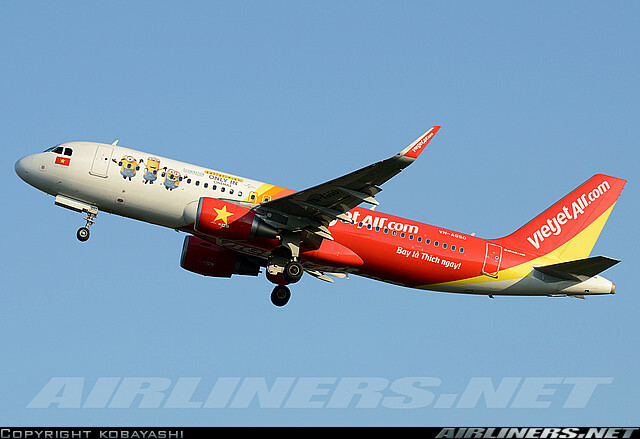 Vietjetair is a reliable airline that gets you from point A to B. Even though my flight was delayed due to technical problem with the aircraft, the pilot and mechanic did their best to solve the issue. Fortunately for us, we didn't have to change aircraft and not any point of time safety was compromised. The cabin service was good and I enjoyed the in-flight meal. For Low Cost Carriers, don't expect much from the seat pitch, so if you are looking for a comfortable ride, pay for the seats with better seat pitch or fly on a premium carrier.